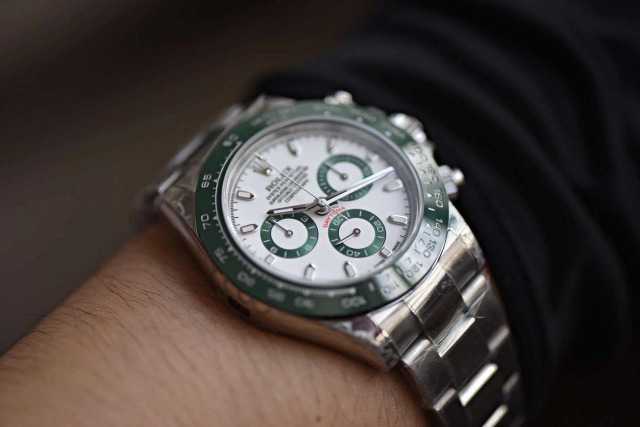 116520LV, has Rolex ever released this Daytona watch? I searched on Google and found all result pages saying this is a replica. 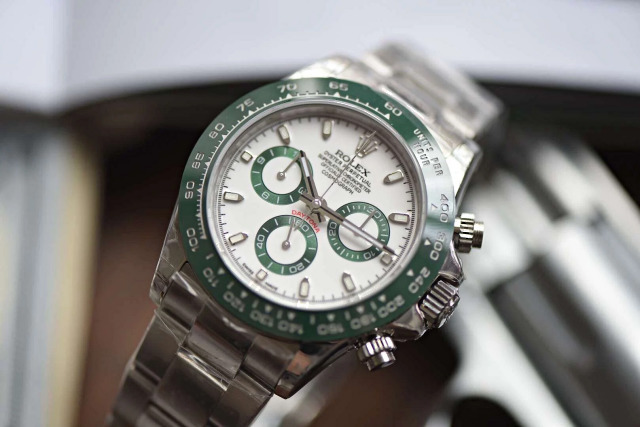 So, I think that Rolex did not make this watch at all, it only exists in replica watch world, just like Daytona II and Sea-Dweller D-Green, I do not know why our watch factories made these replicas whose genuine models do not exist. Whatever, they have rich imagination. 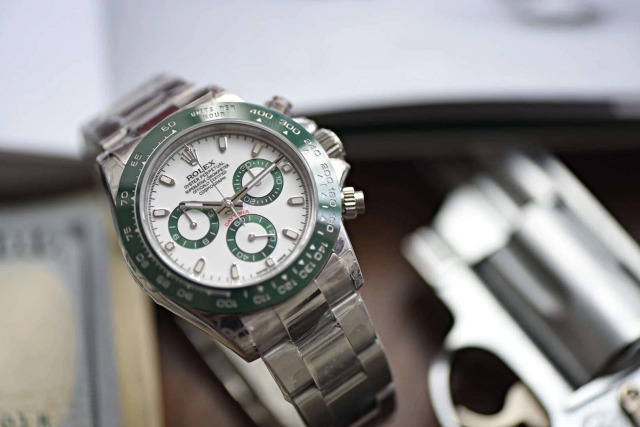 Let’s back to this Daytona replica watch, we call it a green lizard because the watch features a green ceramic bezel and green subdials on the white dial. The replica Rolex Daytona is made by BL, which is a very small factory in our market, now they made this Daytona that is unknown in genuine watch field, I think they have some creativity. Maybe next time they will bring us another unexpected surprise. Why did BL factory name this Daytona 116520LV? I think they refer to the name of another Rolex watch, that is Submariner 116610LV, which also has a green ceramic bezel. This greey Daytona has a 40mm case that is measured to be 15mm in thickness, it is made of 316L stainless steel, not 904L stainless steel. 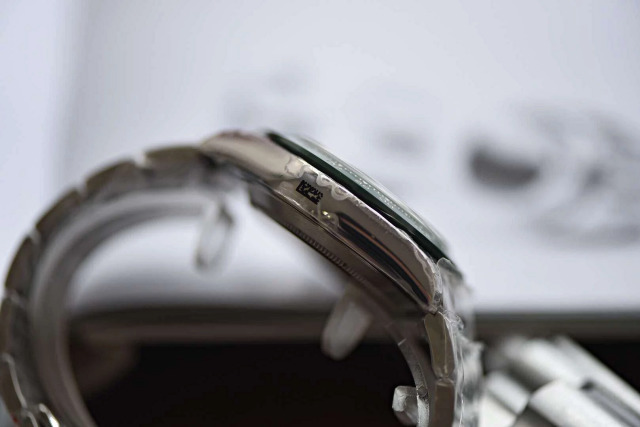 I just posted the watch review on my blog and has not sold one, so if the watch has a good response from the market, maybe BL factory will upgrade the case steel material to 904L. Look at the photos, the case has a brushed face alternated with polishing. You can not operate the chronograph buttons unless they are unscrewed. 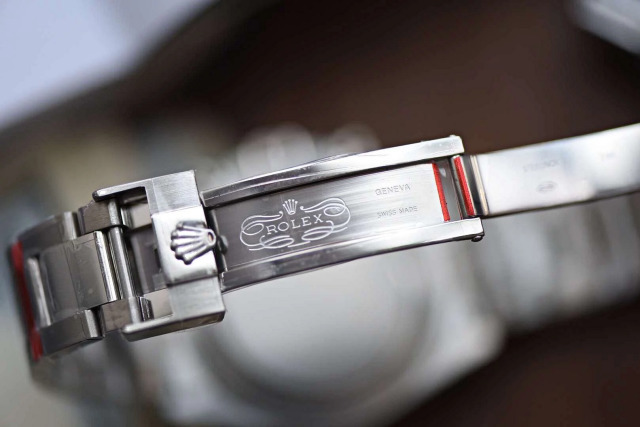 Unfortunately, the back side of the lugs does not have engravings, while each genuine Rolex watch has, now you can see this tiny feature on the latest Daytona replica watches from Noob factory. 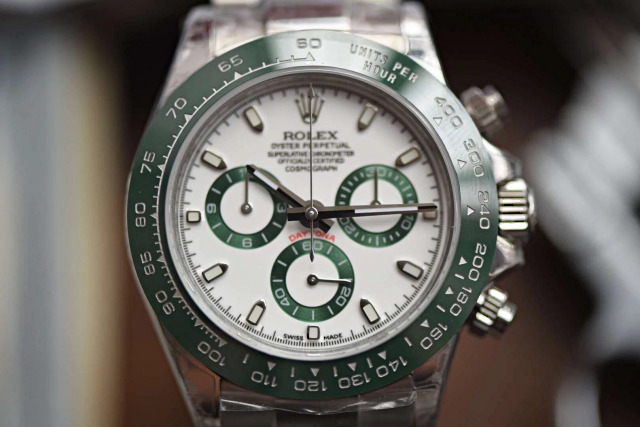 The dial is white, three white subdials have green circles with silver white markers. The three small dials work accurately, they are small seconds hand at 6 o’clock, 30-minute chronograph counter at 3 o’clock and 12-hour chronograph counter at 9 o’clock. 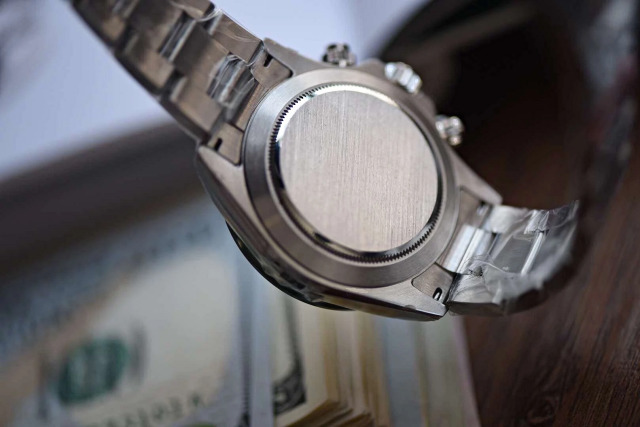 I think it will be more popular if the watch has a full green main dial with three silver subdials. Like other Daytona replica watches, this 116520LV also has luminous material being applied on hour markers, hour and minute hands.